On the Amazon S3 tab, fill out the form with your AWS credentials. The S3 Access Key and S3 Secret Key are accessible from the Security Credentials page in your AWS account. Bucket is the parent directory within which you’ll specify a path where your Grepsr files will be exported as soon as extraction is complete. If you leave the path field blank, the files will be uploaded to the default location within the bucket – “GrepsrData/Project_Name/Report_Name”. If you want your files to be updated with data from the latest crawl run, check the “Replace old files” option, which removes the timestamp from the filenames. 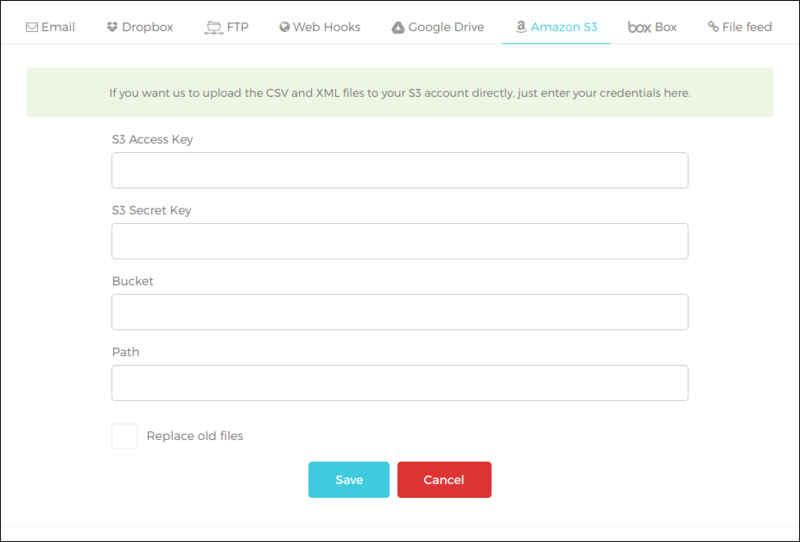 When you Save the form, Grepsr will try to establish a connection with the Amazon S3 server using the credentials you’ve provided. Your report will then be linked to your S3 and data each from subsequent crawl run will be synced automatically.